Designer Tarun Tahiliani kick-started the 17th Lakme Fashion Week on 23rd August with his Autumn Winter Collection. 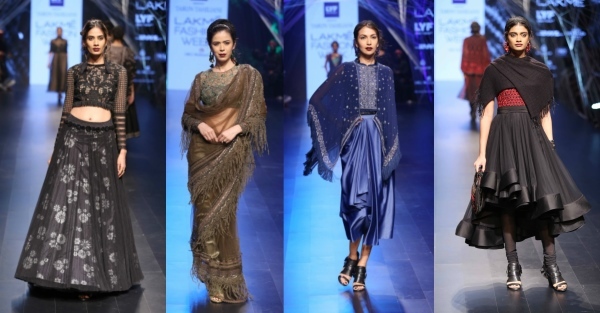 Lakme Fashion Week began its 17th edition on Tuesday, 23rd August, with Tarun Tahiliani’s Autumn Winter Collection 2016. 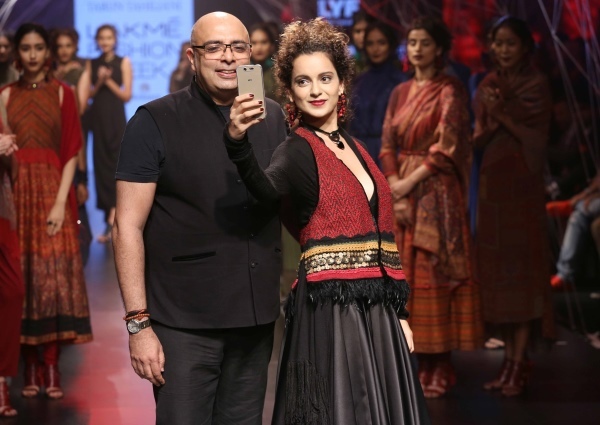 Actress Kangana Ranaut turned heads as the showstopper of the show. The event is taking place at The St. Regis, Mumbai, and will conclude on 28th August, 2016. This year the fashion extravaganza features 92 designers who will be presenting their latest innovative designs to the public. Among these are veterans like Manish Malhotra, Ashish N Soni, Ritu Kumar and Shantanu & Nikhil. Sabyasachi’s show will mark the grand finale on Sunday. Tarun Tahiliani showcased at Lakme Fashion Week dramatic and sensual clothes inspired by sculptor Mrinalini Mukherjee’s life-sized hemp and cast bronze sculptures. The collection mostly plays with earthy colours spiced with bold red, cobalt blue, charcoal, rust and olive hues. Among the range displayed were jerseys in chanderi, cowl drapes on gilets, capes, concept sarees and dresses. Tagged celebrity fashion, fashion, LifeSpice, Sartorial Notes. Bookmark the permalink.